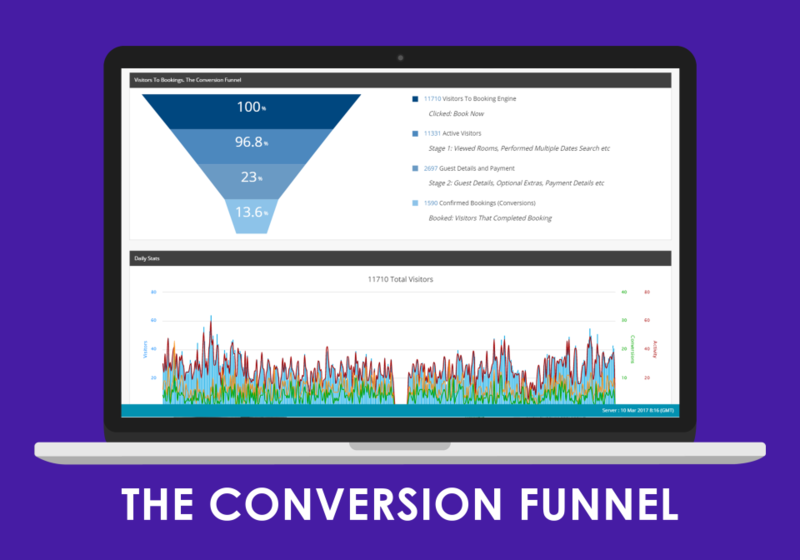 High conversion Booking Engine for operators of Hotels, B&Bs, Motels, Apartments and Resorts. Fully branded to your website to attract and convert your guests, Commission free! You can offer packages, promo codes and add-ons to increase your direct revenue. ConverDirect Booking Engine is PCI certified to accept Credit card details, which is passed to you to process payments. Excellent Tools Introduce by Staah & Always keep on upgrading the same as WatchMyRate. Pros: Staah is the product which i'm using since past 4 years, Their is 0.01 second down-time. Infact many a times Staah helps its partners in term on any issues or down-time from 3rd Party side. Cons: Its have been seen & observed by me that Staah does take a lot time to introduce or update the product, As his Tech Team does not want to start any new think with-out any full proof plan. But from other side its always good for us as their is not error or down time is required to update the product. Overall: Its excellent tools in term of Reviews which is very important in every sector. Thanks for your review Sameer! We appreciate your feedback and will use it to improve our services. Excellent Design, Layout, Colour Change options, Banner Options & many more facilities is available. Pros: Its Design, Looks, Banner Options, Flash Options, Scroller Option & many more facilities which Staah provided to sell your room on our Brand-Website which help us to increased more Revenue & guest satisfaction as well, Since we have moved our Booking engine to staah our ARR & Revenues has been increased by 7% & also being a Group of hotels its help to promote the other properties @ other locations.. As a marketing tools..
Cons: The Software should provide those guest details who have reached to the booking engine enter their details & did not complete the reservation. If this details are available with Hotel then Hotel can call the guest & convert him directly. Thank you for your review Sameer! We're glad you enjoyed using STAAH Booking Engine! Cons: Promo code function limited. Not that flexible to implement tracking code. 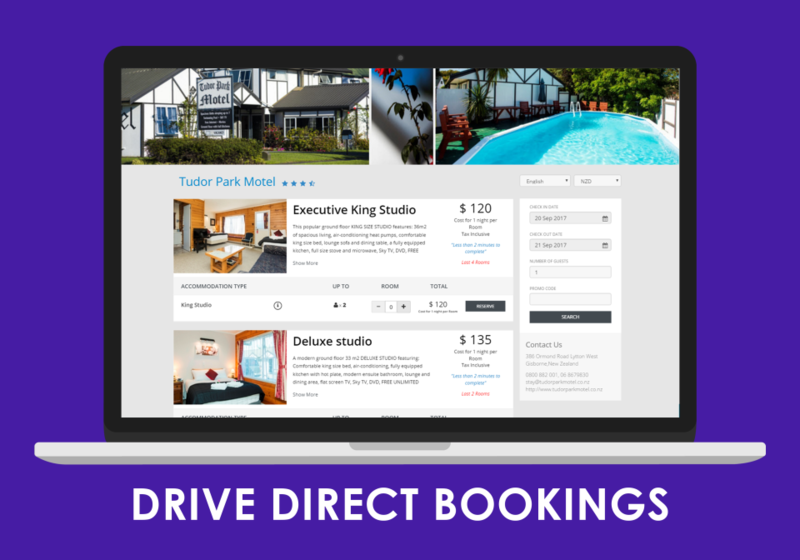 Overall: Instant online booking engine for my company hotel. Thank you Khang Sheong for your review. We will pass your feedback to the team. Comments: Revnomix solutions team has been using STAAH Channel Manager installation close to 25 hotels over a period of 1 Year. With Increasing complexity around Online World, Staah Channel Manager is very simple to use & highly effective tool which helps us to deliver our work efficiently. Also Simplistic nature of system doesn't need long training hrs to be spent. The entire process from SALES SUPPORT >DEMO > INTEGRATION > AFTER SALES SUPPORT is proactively managed by team to deliver desired results of Inventory & rate distribution. 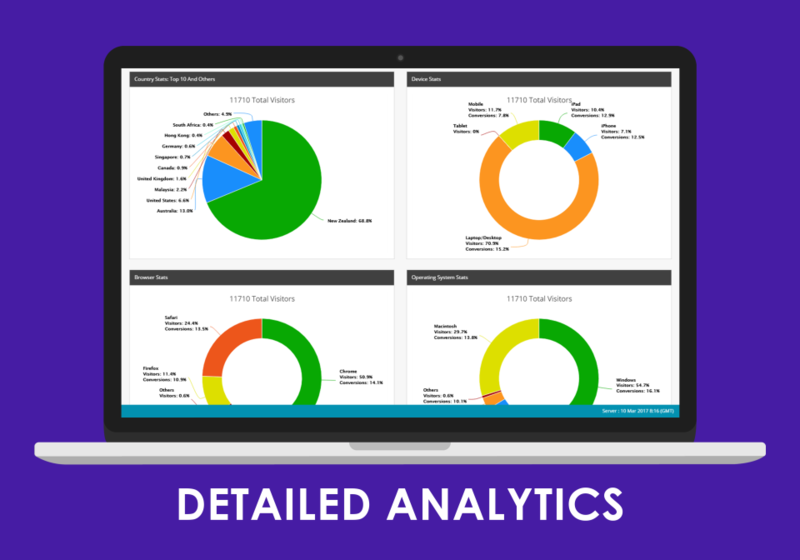 Over all above features motivates our team to use STAAH regularly to drive desired results. Thank you for your feedback Sainath. 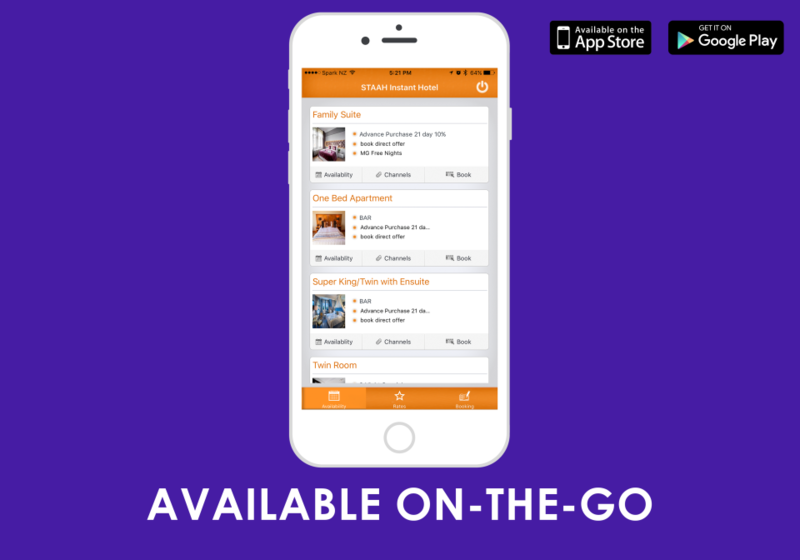 STAAH connects to over 50 Property Management Systems. Please do let us know if you like us to integrate with a specific provider and we will try our best to integrate. Comments: From my first experience with your all your staff it has been professional, very very helpful and reliable service, the knowledge and support has been awesome and much appreciated. All the people have been an absolute pleasure to deal with and a pleasure to work with , normally I wouldn't do this, but Cheyenne and Raynor especially have gone above and beyond and really been a big help to our business, so we really appreciate that and they are a credit to your company. For us at times the support is a major factor for us, reliability and trust in our partners, being able to pick up the phone and call for assistance, email or the portal. All the people at Staah have been fantastic, thank you. Brad, Thank you so much for taking your time to review STAAH. Your comments is much appreciated and it definitely motives us to do better! Comments: From the start the process was easy, and the system easy to navigate around. The support staff are always on hand to answer my simplest of questions. We transferred 5 hotels from another system to STAAH and required this to be done within a 2 day window, given it was a Friday at 4pm we asked for this to be processed, and STAAH did it, without question or complications. We continue to add hotels to our group, and STAAH always come to the party with the set up and link them up very quickly to OTA's. The ease of the system is great, and quick. Chris, thank you for your feedback. It is always a pleasure to work with one of New Zealand's leading Hotels. Thanks for your review Mahadi! Comments: My experience with Staah has been great! I wanted assistance on the website which i was asked to do at a cost, a one time help would have been of no harm. Thank you Denzil for your kind words on our platform and customer support. Regarding your website, we are and have been happy to assist but there are certain services we cannot provide for free. Regarding Booking.com, the cc feature is part of their API whereas for other OTAs it is not, so unfortunately that is out of our control. 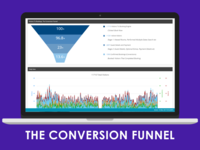 And Google Analytics for your website is certainly possible. Please contact us on support@staah.com so we can arrange this for you. STAAH- A prodigy in Hospitality. Comments: It has been nothing less than brilliant to work with STAAH. The software has been user friendly and logic driven from training to our daily use at present. In comparison to similar software in Australasia, STAAH the software and its team is punching above its weight. It is blatantly obvious to one that they are one of a kind. The service has never fallen short,the team is as responsive as a chord and dependable as the sunrise. What's better is they don't charge the sun & the moon for this amazing service. Dillen, thank you so much for awesome review! Your comments are much appreciated. Comments: It's a great experience to work with STAAH and STAAH Team, Specially Manoj and Deepak who always ready to help any time, both of them very professional and energetic. Thank you Parul for your review and kind words. We are aware of the voucher discrepancy, which relates to one OTA, but as the modification happens on that OTA after and separately from the inventory update in STAAH it is unfortunately beyond our control. Thank you also for your OTA suggestions. We consider all integration requests as part of our ongoing expansion program and will keep you informed as new OTAs come online. Comments: A channel manager automates the entire process and keeps your property in sync. It keeps your property's rates and availability up-to-date across all your online marketing channels. 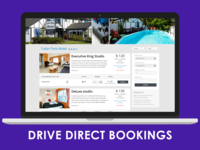 This includes all your selected OTAs, booking engines, and your property management system. A channel manager allows you to manage your bookings with ease. Change your rates and inventory, and update everything from a single place. It decreases the risk of over-bookings and other costly mistakes. Thank you very much Vimal, your review is greatly appreciated. Thank you for your review Harald. We are naturally sorry to hear of the problems you¿ve encountered. We worked to setup your property as quickly as possible but there were unfortunately some issues with the PMS connection initially, most of which were out of our control and all we believe are now resolved. We have checked our updates to your PMS and can confirm they are immediate. We acknowledge the shortcomings of translation on our booking engine and we are working to improve this as part of our continuous improvement program. And whilst we are a New Zealand company we have support teams around the world, including India. When a support ticket is raised, we assign staff to help customers based on staff expertise, location and time zone. For any further queries, please contact support@STAAH.com and we will help in every way we can. Comments: When starting out with Staah, we had a problem with the connection between Staah and Callista. Both blaming each other. Staah was the one that came forward and helped put things right, even though it wasn't there fault. Admired them for that and have had no problem since. Ever since then Cheyenne has been most in a helpful, patient manner. Gaylene, I'm glad the connect issue has been sorted. It was our pleasure assisting you and getting you connected. I will pass your comment to Cheyenne as well. Comments: STAAH has improved its exposure and its working out well for all of us. Its very simple and can be understood and learnt by any staff who has the willingness to learn. The best part of STAAH is the support that we get for any issues that is brought to their notice. Its very instant and never kept unresolved. Thank you for your review Richard, it's greatly appreciated. We aware of and monitoring rate disparity, which has been caused by OTAs competing with one another and applying further discounts. Comments: Having worked for large, hotel chains my requests for system functionality, and looks and response time are complex sometimes. The team from STAAH have been outstanding to solve everything and exceed my expectations. Working day and night to get things done. Also the non-STAAH related contact, whats happening in the industry, or hints to do things better is invaluable - more than just a channel manager; a business advisor. Thank you Troy for your kind words, your review is greatly appreciated. Comments: STAAH as a product is user friendly. The Internet Booking Engine is good and guest pro. Guest can create the booking in some seconds. Their Channel Manager has many good features which others do not have. Thank you for your review Hormuz and in particular your feedback regarding productivity and last minute rates. We are continuously improving our channel manager and we will certainly consider how to implement your suggestion. Please contact support@staah.com if you have any specific questions. Comments: Since Past 2 + years i'm using Staah & Staah Max as a Channel Manager & Booking Engine. Its excellent user friendly & we convenient any all ways. After connecting with Staah Our Online Revenue has increased by 80% which is remarkable. Thank you Sameer for your review and kind words, it's greatly appreciated. Please send more details of your suggestion regarding promotions to marketing@staah.com and we will certainly consider it as part of our continuous improvement program. Comments: Great experience. Excellent customer support. Ms Suvrata has been very helpful always. The software is user friendly. The only thing missing is-Extra adult & extra child rates cannot be updated as per weekday, weekends, long weekend options for a resort like ours where extra person rates differ as per season. Thank you Namrata for taking your time to review STAAH. We have taken your comments on board and will revert back to you when we update this functionality. Comments: I chose to go with staah 4 years ago I have never regretted doing so. The Staah website is very easy and straightforward to use. The reallocation of rooms makes life easy, it saves logging into multiple sites. with a simple click you're on business review allowing you to compare business revenue with the previous year. Staah is always looking forward and improving with regular updates. Many thanks for your review Marris, your comments make us strive harder. Thank you so much for your review Sherwin. We really appreciate your comments. Comments: We have had an excellent run with the company and solution offered. They helped us sign up with the OTAs and then setup the system for us too. They proactive get back to us and suggest what will work for us better and point out when we are going wrong. Obviously it's their own software that is doing the heavy lifting and which is generating the information they share with us. Thank you Jimmy for your review and kind words, it's much appreciated. Comments: We needed to expand our web booking platform in order for our business to be available to more potential guests. 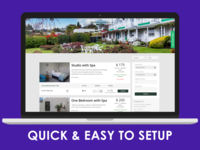 Without doubt, obtaining Staah software has been a great move for our business allowing us to expand our booking pages and also to securely manage our bookings. Overall our booking system is now more efficient and that allowed us to reach more customers. Thank you for your feedback Glenn. Your review is much appreciated. Comments: Its a very user-friendly software. Fastest updated in just one click. Accurate mapping which makes the Hotelier work easy and time saving. Thank you very much for your review Darshana, it's greatly appreciated. I believe the Stop Sell functionality you need is already available. Please visit the following page on our website and let us know if you need any further help: http://www.staah.com/channel_manager_stop_sell_limit.htm. Comments: Good working with them. They help us out whenever it is required. We have had some great experience working with Staah primarily because their response has been good. Keep it up!!!! Thank you Saravana for your review. We are always looking for ways to improve our service. If you have any specific suggestions regarding flexibility of co-ordination with portals, please email marketing@staah.com. Thank you. Comments: Before i could decide on a channel manager for all my 4 hotels in jaipur i checked and tried each and every channel manager possible and at last got STAAH its made my life easy as all my booking are online and to handle about 76 OTA its easy to handle gavin and tarun are doing a great job i wish them all the best for the future. Thank you Ranvijay, that's very kind. We really appreciate your review. Thank you Ovais, we really appreciate you taking the time to leave a review. 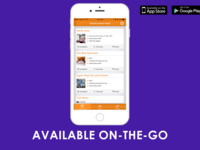 And we take on board your comments regarding reports and the mobile app. We are continuously developing our products and will keep you informed as new features and improvements are released. Comments: It was great pleasure to have STAAH - VETO as a channel manager. They team and account manager is friendly and anytime to help. Assistance is provided in all ways. Also, They are kind helpfull for all issues and updations. Special mention Deepti, Geetha and Dhyey doing a excellent job. Thank you Balasubramaniam, this is wonderful to hear and we are very grateful for your review. Comments: STAAH is a channel manager which uses a minimalistic approach to do tasks efficiently. It is very dynamic and intuitive in nature. Thank you Rahul for your review. We acknowledge that there have been shortcomings with RateSTalk which are addressing. Please escalate any technical issues to support@staah.com and a member of the team will respond to you as soon as possible. At first Thank's to STAAH for making our hotelier work easier and comfortable. Comments: I don't have more words but STAAH but yes would like to say to any hotel or resort that just take it on trial basis and then you will come to know what changes STAAH has made in your day to day work. Thank you Manvendra for your kind words. As you know, we are continuously improving our products to provide more options and we will keep you informed as they are released. Comments: We selected Staah to develop our new website, and at the same time selected them for our booking engine, channel manager and web host. They have been extremely professional and supportive during this time of change, and the product is delivering everything we require. Many thanks for your review Lee & Barry. It is always a pleasure working with such lovely people. Comments: Great Team to work with, they quite understand your requirements and cater to the same. All issues are solved in short time period. Great decision to work with STAAH as a channel manager. Thank you Jennifer, we really appreciate your review. We continuously develop all our products, including channel manager, and we will let you know as new features are released. Comments: STAAH has help us to control and grow our business with simple access to online distribution and digital marketing services. We have found the software to be extremely simple to use yet efficient. STAAH is very reliable and all of our data stored is secure and can only be accessed by the hotel. Thank you Karan for your review. We really appreciate your comments. Thank you Prakash for taking your time to review STAAH. We really appreciate your feedback. STAAH releases at least three updates to improve functionalities and we hope to address your concern. Comments: Staah is one of the best channel managers.Our experience of using staah as a channel manager has been a smooth and effective one. Highly recommended for other hotel properties to go in for Staah as channel manager. Thank you very Samson, it is wonderful to hear you're so pleased with our channel manager. Thank you for taking the time to leave a review. Thank Jaran for your review, it's greatly appreciated. We do keep our rates under review to ensure we remain competitive whilst allowing us to continually invest in making our improving our products for the benefit of all properties. Comments: I have used other channel managers also, but recently in January 2016 shifted to STAAH and one thing I can assure everyone, I am happy now of our decision to shift to STAAH. Thank you Dinesh for your review and kind words, this is great to hear. We have some good news for you and look forward to telling you about it next week! Comments: Great functionality, feature, user friendly, nice interface, easy to use, easy to teach for basic functions. Thank you for your review Khir and your kind words. We acknowledge there can sometimes be challenges during the mapping process, in this case ensuring that sufficient rates and availability are entered before the channel connection is made. Comments: The best thing about staah is that they have good app for iOS user. Software runs very smooth and is definitely user friendly. The support team is always available round the clock and resolves the issues very fast. I feel its more than a channel manager. Thank you Suraj, it's great to hear such a positive review of our products and our people. Comments: Great, save a lot of time when using this program I do not need to go to each OTAs to adjust price and open/close availability.Also since the mapping done by the support team, it save us a lot of trouble that we faced when we were using similar program. Thank you very much Kah Shing, we really appreciate you taking the time to leave a review. Comments: I find STAAH very easy to use. Any updates are always logical and seamless. 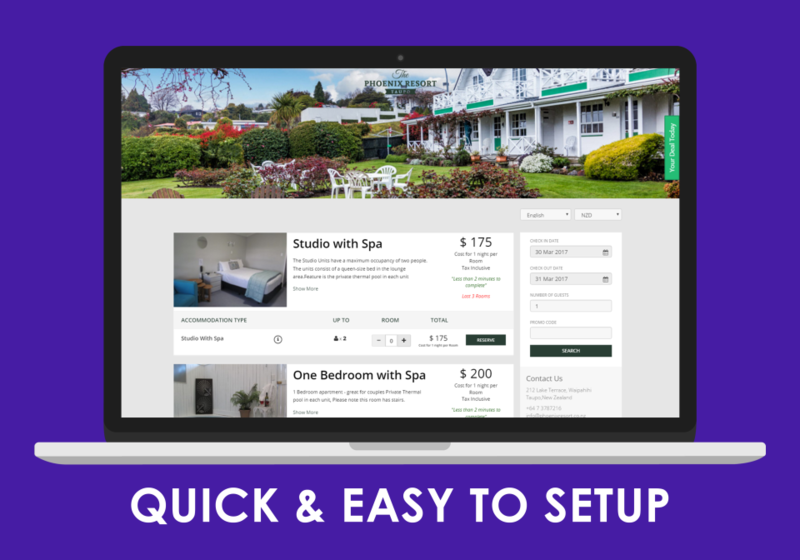 STAAH integrates with our motel room software perfectly and inventory and price updates are quick and accurate reflecting in an instant on our STAAH hosted website. Many thanks for your kind words Morgen. We really appreciate you taking your time to review STAAH. Comments: Always work as required. Never had any issue in updating an information. Mr. Vishal always there is any information or help required. Thank you Shugufta, we really appreciate your review. We are always considering new OTA integrations as part of our ongoing expansion program and will keep you informed as new channels become available. Comments: Having worked with couple of other channel managers we switched to Staah for the ease of use and actual performance of the software. Basically all functionalities actually work and the customer support team is very fast and friendly to all our needs. Thank you so much Rohit for your review and kind words, it's greatly appreciated. Comments: We are very happy to use Staah for our business as it is easy to use and has great customer service support for any kind of question. Also the updates in the system are always very useful and well thought of. We are using Staah for many years already and are very happy with it. Your review is much appreciated Tim. Thank you! Comments: From the time we have started to use Staah Channel Manager & Booking Engine our online channel bookings have grown exponentially. Staah is a very powerful e-distribution platform which we have used to maximize Hotel Revenue Yield. Thank you Apurva, we really appreciate the kind words and you taking the time to leave a review. Jane, Thank you for taking your time to review STAAH. We appreciate your feedback and have taken your comments on board. Comments: It is really great option to control all OTA at one point and very user friendly system and this channel management system has offered new vision to OTA business. Thank you Haresh for your review and kind words. Our Max Channel Manager offers dynamic pricing - a member of the team will be in touch to discuss this with you. Thank you very much Mihir, we really appreciate your review. Regarding the mobile app, it's important to us that your data is secure so, like many other apps, we have set it to require your password each time you login. Comments: Very easy to use and friendly UI product. Setting up and mapping takes some time depending on the property, however once set up everything is running smoothly. Thank you very much for your review Danukh. We take on board your comments and will endeavour, as we always do, to respond to your requests as soon as possible. Comments: Staah is not a Channel Manager but it is a tool which takes your Hotel to the next Level.. Thank you very much Deepak for your generous review, we really appreciate it. a small motel operator who is not computer savvy . Comments: I am not computer savvy ,and the prospect of dealing with a channel manager was a bit daunting , but I was pleasantly surprised ,I find Staah easy to use and logically to get around in . Renus, Thank you so much for your kind words. We love to be able to assist properties increase their online presence and revenue.